I was soooo excited to hear Gina’s idea on her engagement session. She wanted to incorporate one of the founding stepping stones in her and Jason’s relationship, their boat. They spent so much time on this cute lil’ boat. Going up and down the river together, for years. During their shoot, they just kept holding hands and pointing to different locations along the way saying “remember that spot when…”. It was the absolute cutest thing in the whole world, and I felt right inside a Nicolas Sparks book. 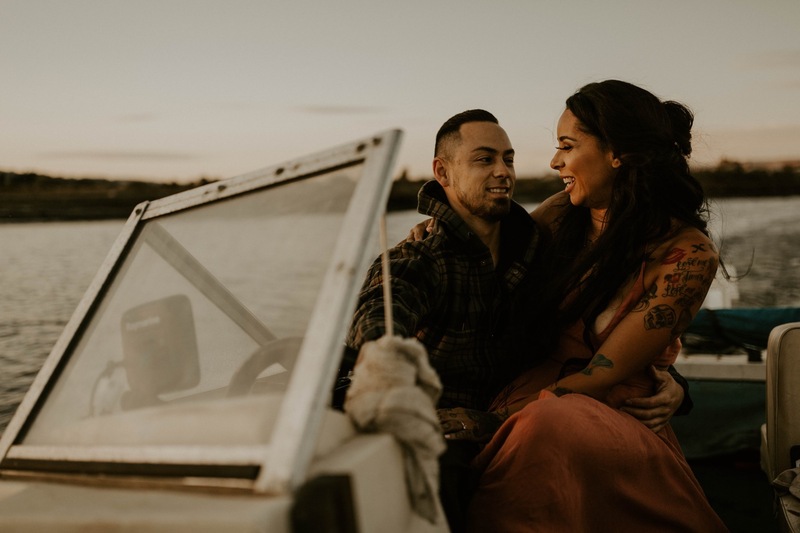 With two kids, a booming business, and a whole lot of love, these two couldn’t be more excited for their next step into marriage, even though they admitted they basically feel like they’ve been married since the moment they got together. Isn’t that the best though? Realizing you’ve dedicated yourself to one human being, even before saying “I do”? Thats how you know it’ll last a lifetime.